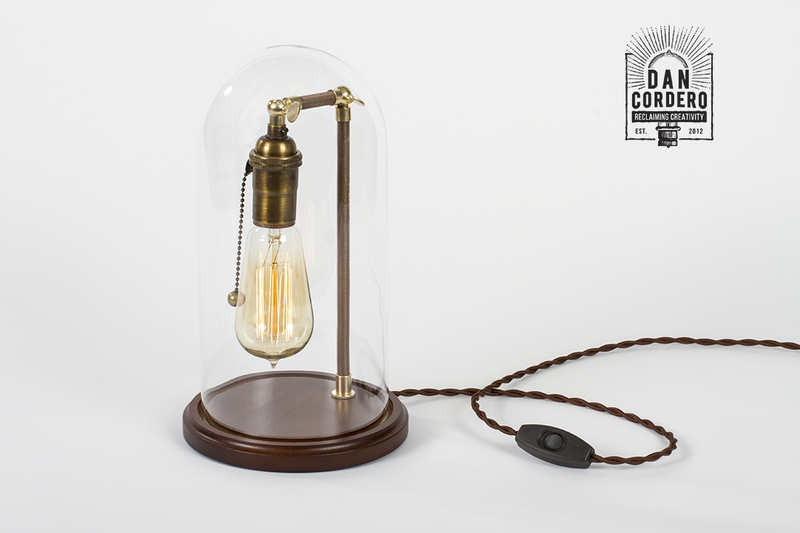 With an eclectic combination of polished brass accents, a rich solid walnut base and vintage braided cording, our hand-made Edison Glass Bell Jar Lamp delivers contemporary industrial charm while radiating a warm sophisticated glow to any space. 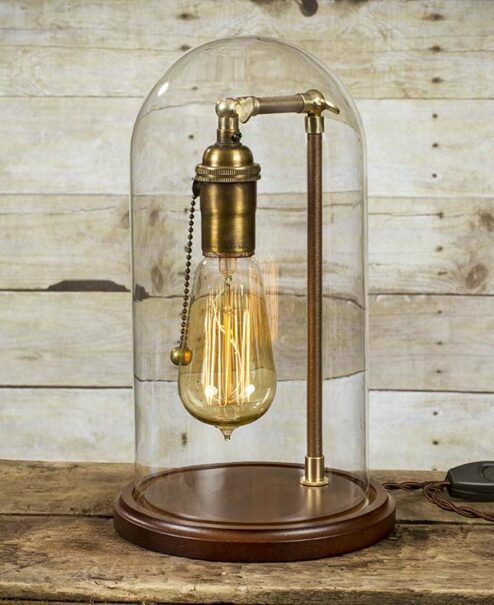 This Edison Glass Bell Jar Lamp features an impressive handblown glass dome height of 11″ and base diameter of 5.5″ with a functional solid Antique Brass pull chain socket completing this piece! Lamp came quickly and in perfect condition. Dan was helpful throughout the process! Thank you! 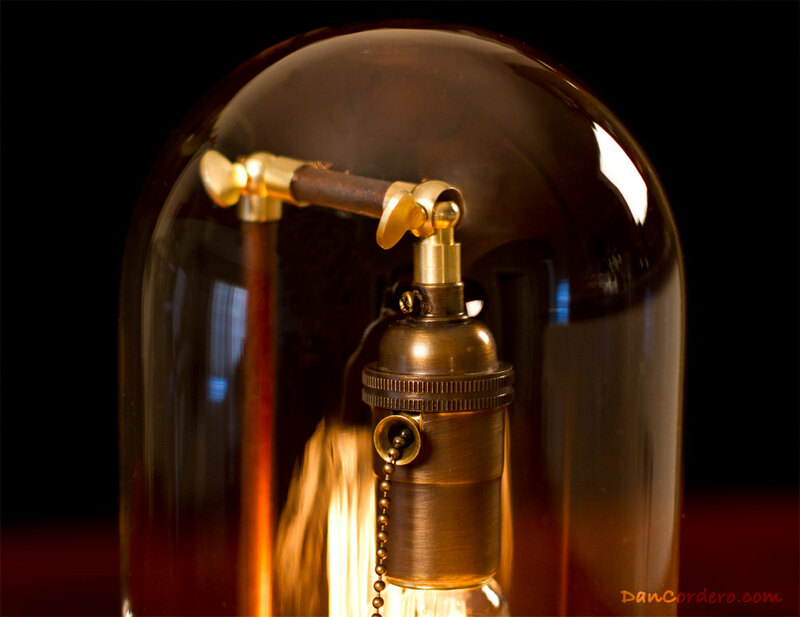 Seller was amazing, even after the first lamp was damaged during shipping. 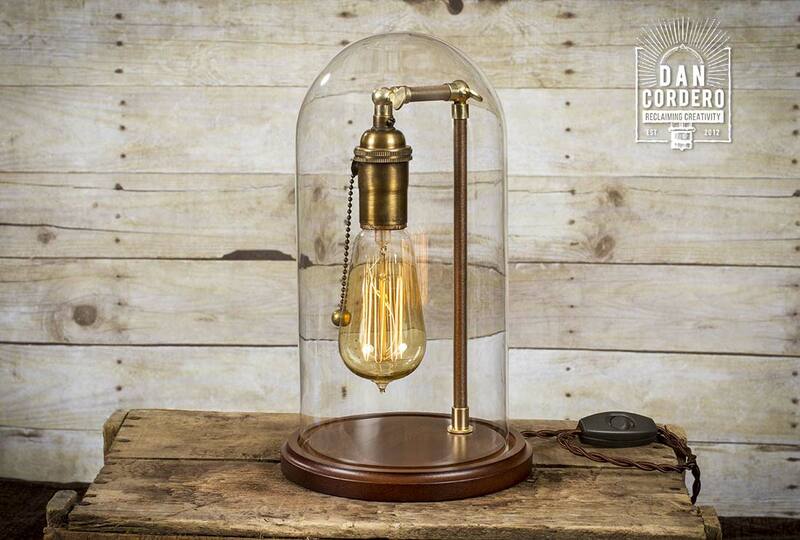 Lamp is awesome, I just love it! I will definitely shop here again! And congrats Dan on your recent marriage, I wish you both all the best! Lamp looks really really great. and Dan went out of his way to make sure it came by Christmas as I didn’t notice the original window had the possibility of it not arriving. My issue is that the groove in the wooden part is much larger than the glass so it moves around a fair bit which makes it feel a bit less polished. The cord is shorter than I was thinking but that may be a good or bad thing depending on your needs/placement. 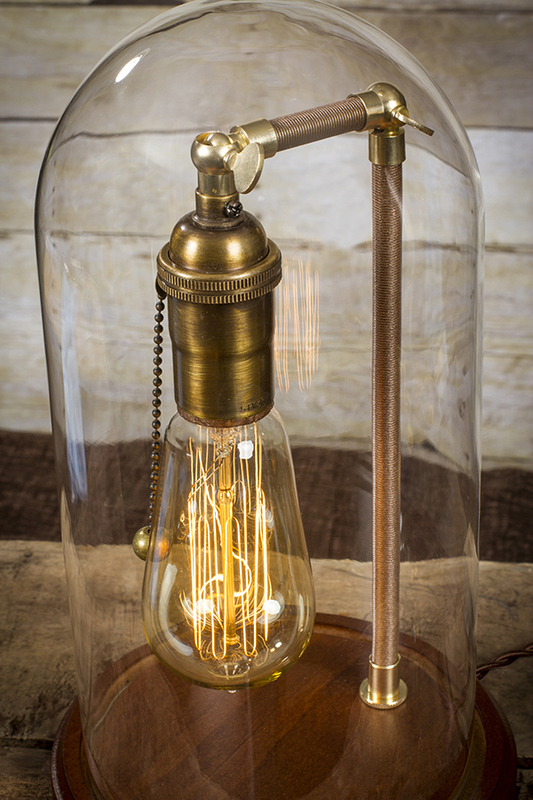 Very nice lamp. Arrived a wee bit late for a birthday gift, but through no fault of its maker. Very well packed for shipping and arrived fully intact. 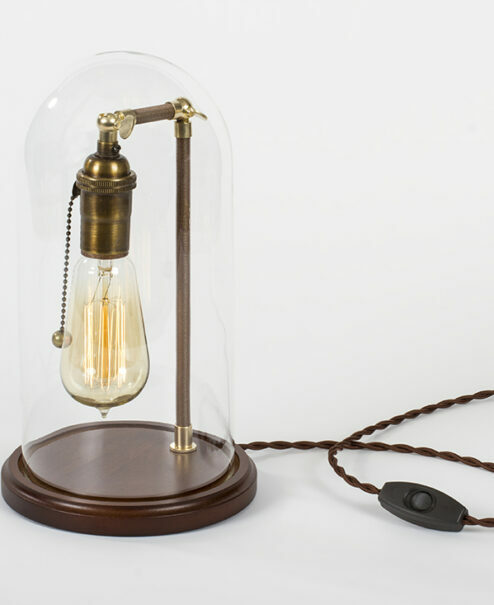 Will make a very nice accent lamp! Beautiful! 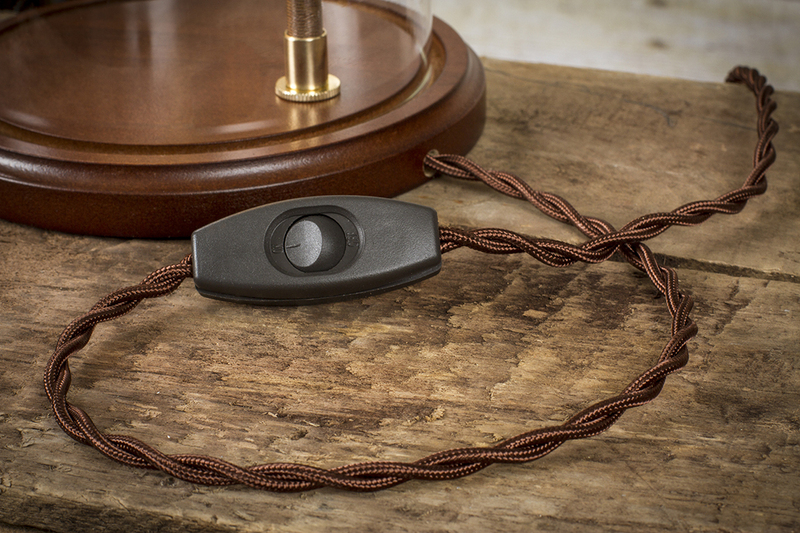 The locking hardware a very nice touch on this lamp. I love everything about it. 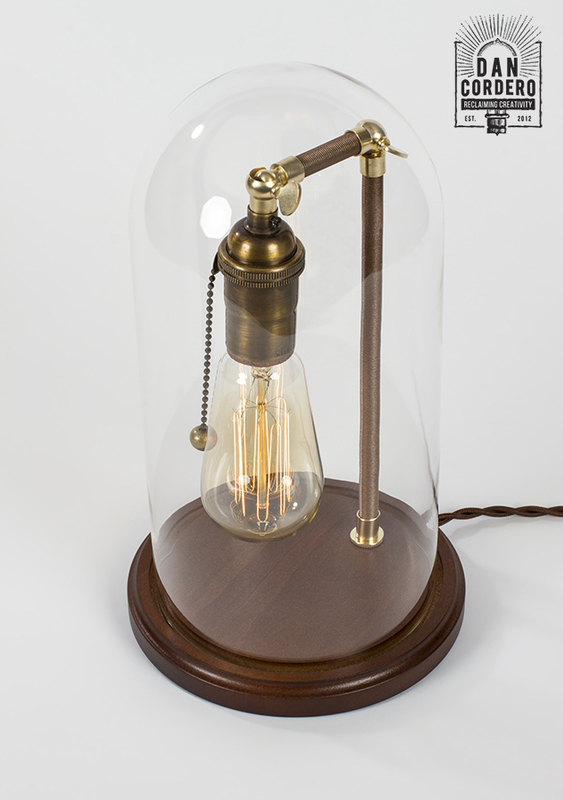 When the lamp arrived the bulb was broken, Dan sent a new one right away, no probs and the lamp is great! We were looking for a small table top light for our living room. This is the perfect addition and looks beautiful with the rest of our decor. Thank you! !